The FAA cited staffing shortages because of the partial government shutdown, which ended after Congress and President Trump struck a deal in its 35th day. Federal officials temporarily restricted flights into and out of New York’s LaGuardia Airport on Friday in another example of the toll the partial government shutdown was having before Congress and President Trump agreed in the afternoon to a deal to end the shutdown on its 35th day. Delays also were posted at airports in Philadelphia and Newark, and it’s likely to take a day or two for the nation’s transportation systems to get back to normal operations. 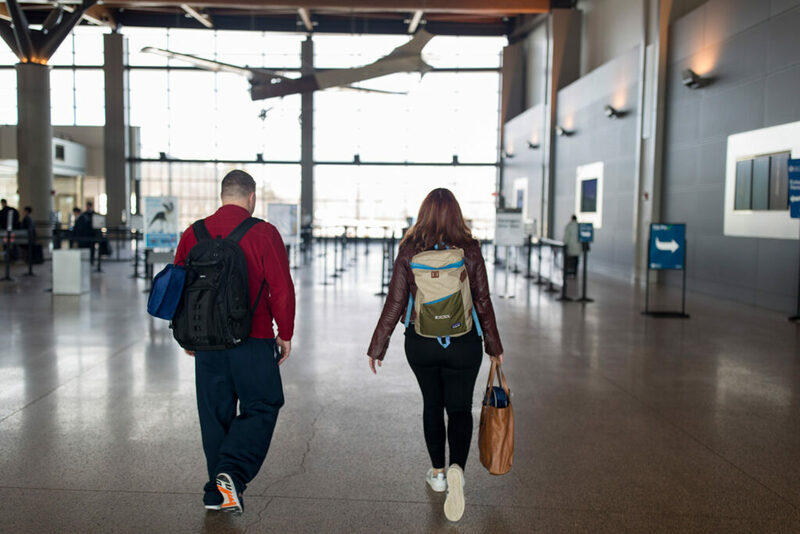 As of late morning Friday, travelers at the Portland International Jetport seemed to be taking the delays in stride, as one flight to LaGuardia posted an hour’s delay and two flights to O’Hare in Chicago were expected to be delayed by 20 minutes. By 3 p.m., the departure of a United Airlines flight bound for Newark was delayed one hour and 22 minutes. All other flights through 6 p.m. were expected to be on time. Ok Lim Poulin used to live in Portland and was flying home to Grand Rapids, Michigan, on Friday morning after a visit. She said she was delayed about six hours because of her connection in LaGuardia. Mo Placey, a Gorham resident, was headed to Phoenix on business. Her flight was routed through Charlotte. “I haven’t seen an alert as of yet … so fingers crossed,” she said. Another traveler, Alberto Moreno of Portland, was headed to Miami, with a layover in Philadelphia. Travelers were notified of air traffic issues at fly.faa.gov and were advised to check with their airline for more information. 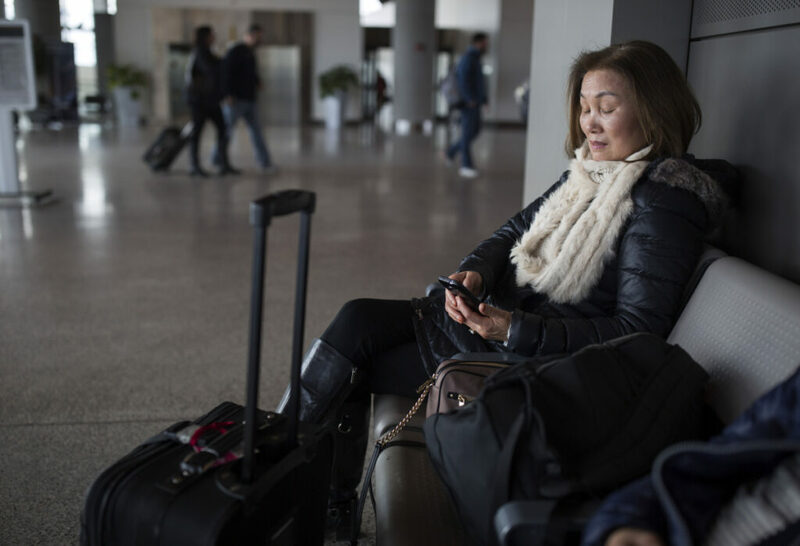 Ok Lim Poulin checks her phone Friday while waiting for her flight home to Grand Rapids, Mich., at the Portland International Jetport. The jetport issued a travel advisory that it was monitoring the ground delay at LaGuardia and additional traffic management restrictions were also in place at Newark and Philadelphia airports. The delays could affect at least five flights arriving and departing Portland from those three airports. The FAA’s Airport Status Information website cited shortages at two facilities, including one near Washington, which manages air traffic. The temporary restrictions affect arriving and departing flights at the airport. Arriving flights were delayed an average of 41 minutes and departures were experiencing delays between 15 and 29 minutes, the FAA said. Delays at LaGuardia and Newark airports were still being monitored by the FAA into the late afternoon Friday. This story contains material from the Washington Post.